This was a really fun project for the kids last year. They like to get in on the Halloween decorating. 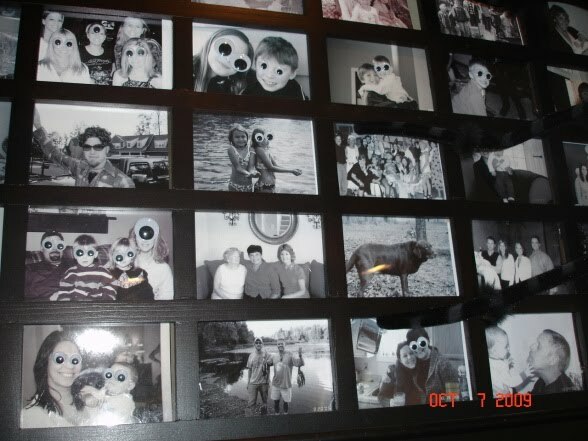 We used Elmer's glue to stick google eyes of all different sizes to our family photos. It was so much fun we can't wait to do it again this year! Another easy project we did together involved candy so they loved this one. We searched "vintage Halloween labels" on the Internet and glued them to my jar collection filled with treats to create a Deadly Sweet Shop. 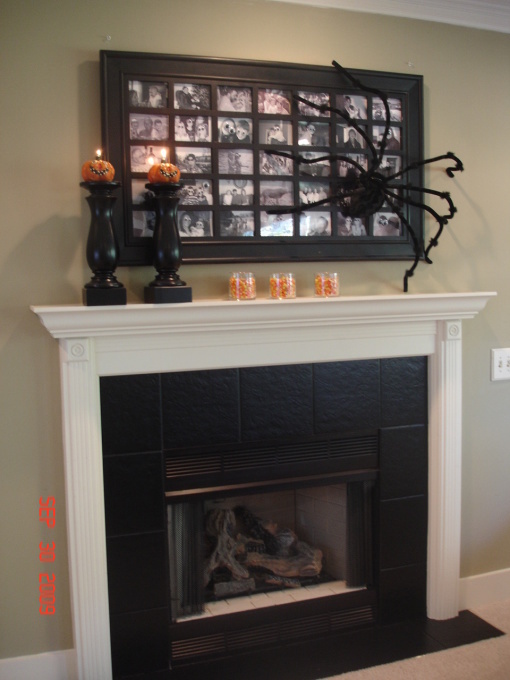 Check out this blog for other Halloween craft ideas. Ha ha. I love the cyclops photo. So smart and easy. I love the vintage labels and candy jars. I never thought of searching online for print out labels. I've always looked for cool stickers to buy (at a small cost). What did you use to glue the labels onto the jars? I'm assuming you wanted to take the labels off again after Halloween so it wasn't permanent. Although, even if it was permanent, I still want to know what glue you used for that? Modge podge? Thanks for linking up. Sandra, we used glue sticks for the labels. I wasn't able to remove them in one piece so I'll have to make new ones this year. Thanks for hosting the party, so many cute ideas. I love your candelabra! Thanks. If you find the website you downloaded them from will you forward it to me? I'm spotlighting this in the morning. Thanks again for linking up to Everything Halloween. Cute jars, I need to find some now so I can fill them with holiday candies! I just found some jars at Goodwill if anyone is still looking for any. They usually have a ton of vases. I even found a few jars that currently have (dried) pastas and bath salts that once emptied and washed will look perfect filled with candy and labled. Where did you get that giant picture frame? it's awesome!